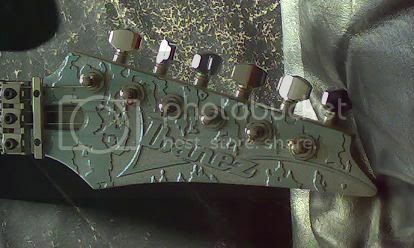 To be honest I've never really liked the Prestige Ibanez logo as I thought it left the headstock very bare looking. I'd much rather they had just stuck with the 'classic' logo they'd been using for years. Which do you prefer and why? I prefer the classic logo as well. Preferably silk screened rather than chrome logo too. Prestige logo always looked a little off. don't forget the j custom! Another vote for the classic here. Although sometimes the Prestige logo looks better in the context of the whole, I have to say. But yeah, classic. I've always loved the look of that. Especially on black headstocks. It stands out really cool. My JS1000 is the best of both worlds, prestige guitar with the original logo. tick logo all the way. Prestige for me, the pearl just tops it off. ^always against the grain arent ya dude? How about Classic with Pearl. Na I just don't get appeal from the tick, I don't have anything against it.